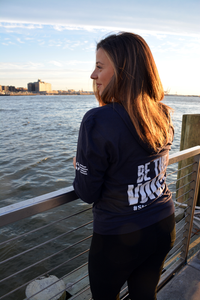 For those chilly mornings (or afternoons, or evenings), you’re going to want to add this lightweight Women's Navy Be the Voice Zip-Up Hoodie to your clothing collection. 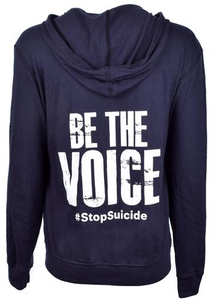 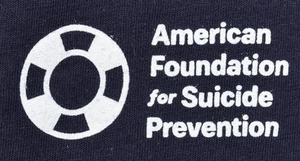 Featuring a classic blue color, the white words on the back say it all: “Be the Voice, #StopSuicide.” Our new logo decorates the sleeve. 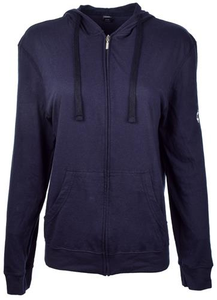 This hoodie does not include a nice warm cup of hot chocolate, but doesn’t that sound like a great idea?